I am repeatedly intrigued by the short time frame within which things happened that seem so legendary and epic and life-changing. Like how quickly the Beatles went from yeah yeah yeah to "Revolution," Or how all of the following reminiscences happened in 1978. 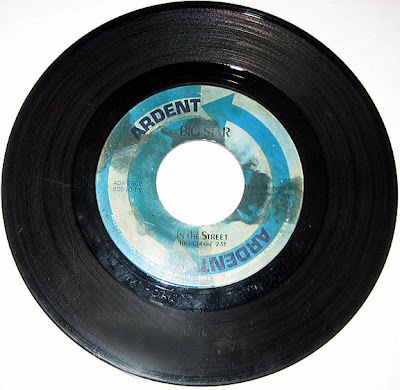 The 45 shown here may well have been the first Big Star record in all of North Carolina. A bunch of us in Winston-Salem were into Big Star when it actually existed—I paid list price for #1 Record in 1972, which puts me in a select group of people. I had to go to Raleigh to find it, which sounds so romantic from this age of downloading. Our high school band Little Diesel played "In the Street" and "September Gurls" in 1973-74. The former became the theme of That 70's Show in the late 1990s; the latter was recorded by the Bangles in the mid-1980s. The first record I ever played on was an eponymous 1976 six-song EP by Sneakers. I feel confident in asserting it was the first record ever to have reviews cite Big Star as an influence. In the spring of 1978, inspired more by Big Star's records than by those of Elvis or Otis or Al, I took a trip to Memphis with two singer-songwriter-guitarists, Peter Holsapple and Mitch Easter. They had just been in a band (without me) named the H-Bombs in Chapel Hill, and had recently done some recording that Alex Chilton was desultorily involved in. We were thinking of starting a new band and relocating. This was almost certainly the first of many musicians' pilgrimages in search of the Big Star essence. The first thing we did was look up Alex. He was then living at his parents' house and recording what became Like Flies on Sherbert. He graciously let us hang out with him quite a bit—I remember spending one afternoon listening to records at Tommy Hoehn's house. He also took us to a bar where Keith Sykes was playing, and with whom Alex got up and sang a twisted version of "Money." Alex told us where we could find Chris Bell: managing a Danver's Restaurant in the suburbs. My understanding at the time was that Danver's is/was a local chain of fast-food restaurants owned by Chris's family, but I'm not sure about that. When we arrived there weren't many customers, and we walked up to the counter and asked for him. He came out in the typical paper hat and short-sleeve shirt and tie. He seemed nonplussed that some fans had gone to the trouble to find him, but agreed to meet us after he got off work (he couldn't talk then). We met at a fern bar for drinks. He didn't know what to say to our probably ridiculous questions along the lines of "where's it really at in Memphis, man?" 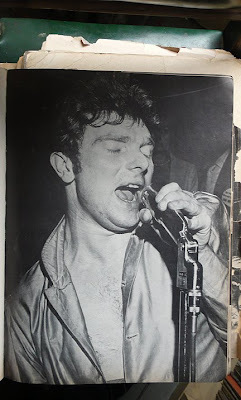 He asked if we wanted to go to the Horslips show (no! ), and his reply to our query of what he was listening to was "Fleetwood Mac". The one quote I recall best: "I dunno, rock 'n' roll just kinda went dead for me." He seemed sad and frustrated. We all knew that Alex was in the studio (Sam Phillips) that night, and we kept badgering him to take us there, despite his in-retrospect-obvious reluctance. He finally relented. It wasn't until much later that I realized how uncomfortable he must have been, and that the fact of our arriving with Chris Bell made us suspect in the eyes of Jim Dickinson and Richard Rosebrough (producer and engineer, respectively) and whoever else was there. Alex was gracious, showed us around the building (a fifties classic), and just kinda nodded at Chris. Chris sat silent and sullen for a while, and I think we had to leave with him cuz we were sharing a car. Alex played us "Girl After Girl", "I've Had It", and a few more songs, which had not been mixed (and if you're familiar with that album, you know that the performances were very chaotic by design, which was pretty out there for the time). The album didn't come out for another two years. This was the extent of my encounter with Chris Bell (or Jim Dickinson, for that matter). On a little portable cassette machine Alex played us "I Am the Cosmos" for the first time. And told us some things about Chris Bell, Big Star, Ardent, and the whole scene that we probably didn't need to know: that John Fry, the owner of the studio and label, was gay, and so was Chris, and that Chris got jealous that John got interested in Alex (and that this was the reason that Chris erased the master tapes of #1 Record); or that Alex was better at tennis than Chris, who could never beat him no matter how hard he tried. I know Alex to be an enthusiastic embellisher of the truth, but when "You Can't Have Me" appeared on the belated release of the third Big Star album later that year I recognized what/who it must be about, and I still can't hear it without thinking about all this. It seems quaint now to have gone 600 miles in search of the secret of a band that had barely existed, got almost no radio play, and had no impact on the marketplace. We didn't want to go to Graceland, or Al Green's church, or the Stax studio; we did try to re-create the photo on the back of Radio City, at its original location, TGI Friday's (I don't know whether that photo still exists, and of course it didn't come out as anything more than a dumb snapshot). There was no essence to be found. I moved to New York City a couple of months later. Peter did move to Memphis for a few months; he made some late-night recordings with Alex (also at Sam Phillips), some of which have appeared on bootlegs. He survived the summer of '78, when the Memphis police and firefighters struck simultaneously and the National Guard was called in to keep order, and in the fall moved up to New York City to join Chris Stamey and myself in The dB's. Mitch Easter also briefly lived in NYC before beginning his career in recording studios (and Let's Active) in North Carolina. 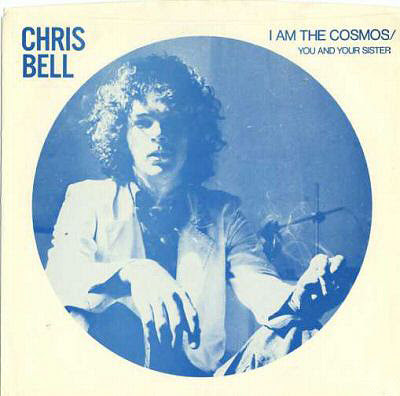 Chris Bell died in a car crash late that year, a few months after "I Am the Cosmos" came out on 45. In 1995 I wrote a song about Chris Bell and these memories. Your host Ted Barron figured out who it was about, somehow (we lived in the same building at the time). 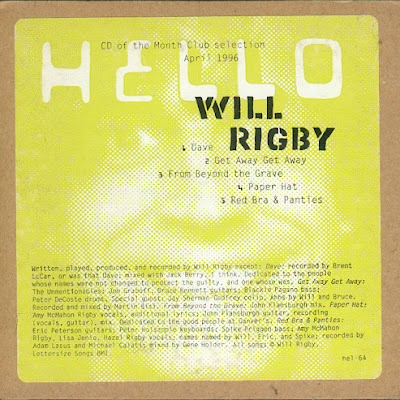 I've never told anyone (except my ex-wife Amy Rigby, who appears on the recording) before now. It appeared only on a very obscure release. 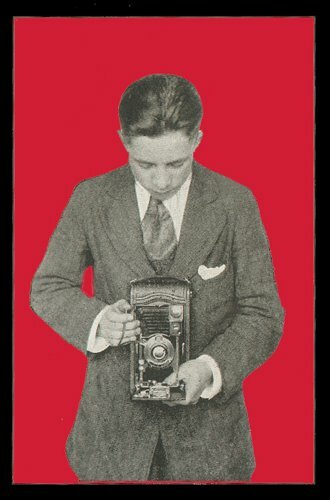 by Alex Chilton (with Peter Holsapple) 1978.
by Alex Chilton, (with Peter Holsapple) 1978. Recently, Steve Roden, artist and proprietor of the excellent Airform Archives, bestowed upon me a stack of dog-eared and battered 8 x 10 publicity photos. He decribed them as having "a nice kind of patina." I like them better this way - with tape, holes and a smoky veneer from the juke joint they probably hung in. Here's Rosco Gordon in all that weathered glory. I've been wanting to post some of these sides for a while. 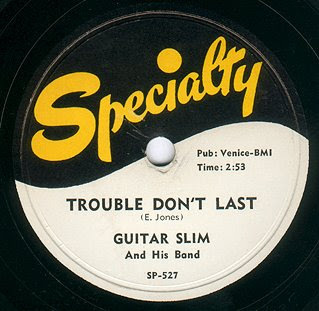 These records, made in Memphis in the early fifties under the supervision of Sam Phillips and Ike Turner, are truly amazing and what is even more amazing is that somehow they found their way to Jamaica, where Rosco's unusual rhythm style is credited with shaping the sound of early Ska and Reggae records. 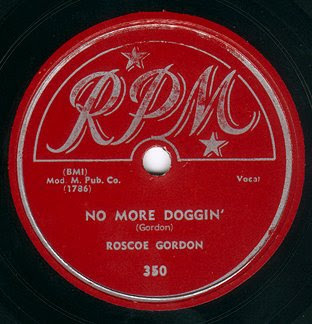 "No More Doggin" was recorded in Tuff Green's living room, and if you listen closely near the end of the record, you can hear a phone ringing. It's probably Rosco's old lady. 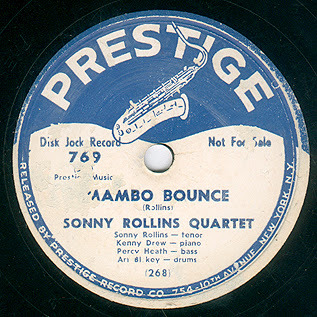 The ensemble band here on these records is The Beale Streeters, which included and backed at various times, among others Bobby Bland, Johnny Ace, Junior Parker and B.B. King. 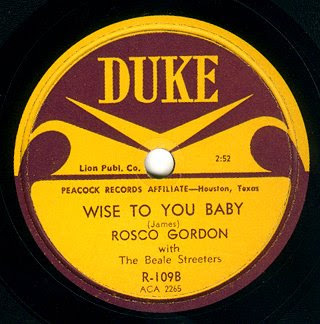 The horn solo and arrangement on "Wise To You Baby" are also unusual: lazy and direct at the same time. It carries the record, and what a record it is. by Roland Alphonso and the Soul Brothers, 1965.
by Peter Tosh and the Wailers, 1971.
by Alton Ellis and the Flames, 1966. I'm not Irish, but these guys are. Some listeners may recognize Them's version of "It's All Over Now Baby Blue" as a sample on Beck's Odelay CD. He's not Irish either. Here's the original by another not Irish guy, who took his name from a Welsh poet. by Bob Dylan, February 17, 1965.
photo © Ted Barron, 2008. 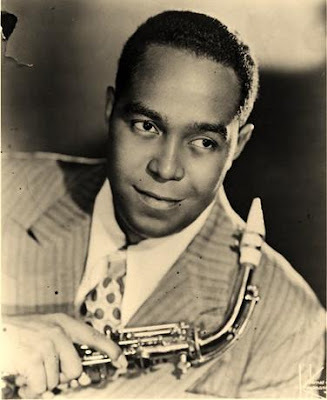 Today is the 53rd anniversary of Charlie Parker's death. 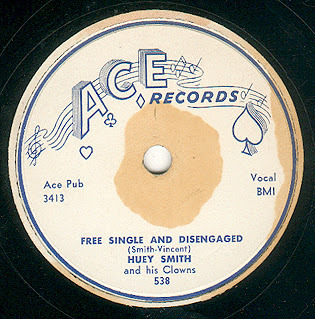 Here it is: his first recorded solo on a record date - from 1941 - at the age of twenty. In case it isn't instantly noticeable to you, his solo is the 12 bar break after the intro and before the vocals. 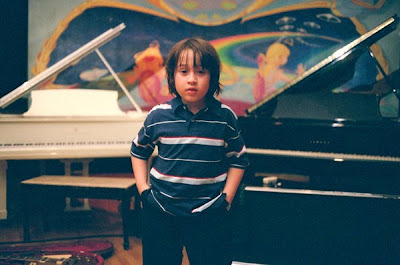 In these thirty seconds of sweeping majesty the young genius was already pointing the way toward a complete reinvention of Jazz. 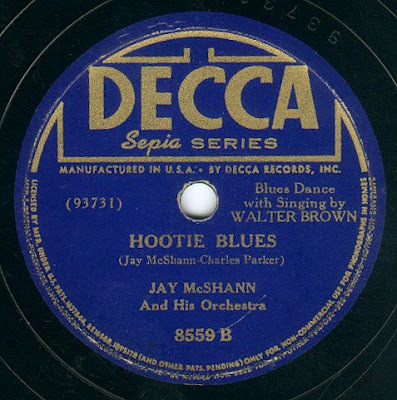 Jay McShann and his Orchestra, 1941. But it hurts him more to take his pride and run his life"
There are dozens of versions of this song. This is the one. Songwriter Harlan Howard wrote thousands of (mostly country) songs. I'd hold this up against any of them. 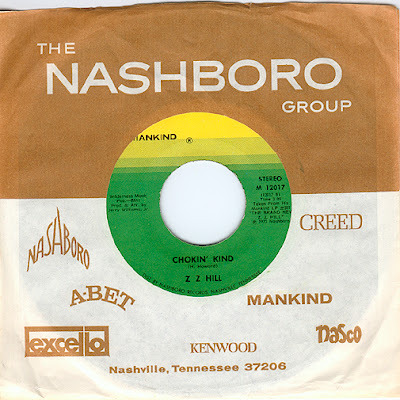 It's another Swamp Dogg production, a classic soul/blues record made in Nashville and performed by Z.Z. Hill. "Did you ever wake up to find, a day that broke up your mind?" Yesterday I experienced such a day. It was partially by my own design. 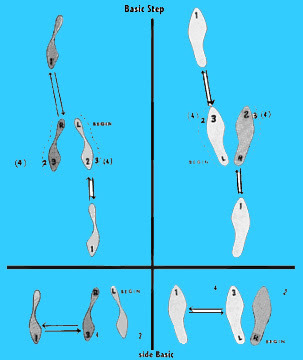 Two extremely difficult and heartbreaking situations in my personal life were dealt with, or at least put into motion. One involves my son, Lincoln, who is eight years old, and telling him the news that he and my ex-wife will be moving far away. 1000 miles to be exact, and I won't be able to join them. He didn't take it so well, but I think he's getting used to the idea. I'm not sure how I feel. The other, involves a woman, whom I love very much and have been apart from for a few weeks - or dare I say broken up with - it remains to be seen how this other situation will play out, depending on the depth of my denial and or the luck or cruelty of fate. When my son was born in 1999 he spent the first few days of his life in the intensive care unit. His mother's labor ended with an emergency C- section about 36 hours after her water had initially broken, thus causing an infection and requiring antibiotics for mother and son. It was during this time, that the customary tests were performed on the baby, and a nurse matter of factly informed us that Lincoln had failed his hearing test, and wouldn't be eligible to take another for three months. 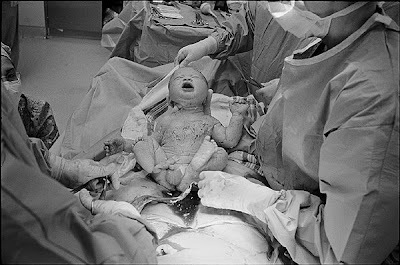 At the moment of his birth, the doctor exclaimed, "WOW!" at this huge nearly 10 pound, 22 inch child who was in my eyes perfect in every way, mother and son were wheeled away separately to require additional medical care. I retreated to a wall in front of the hospital where I sat and smoked a cigarette while weeping uncontrolled tears of joy. I found out about the hearing test the following morning, after returning to the hospital on a few hours sleep, I was troubled by this news, but elated by the birth of my son. "We'll just wait and see." I told myself. Now any new parent will tell you, that these first days back home with your child can be racked with anxiety and wonder. "What now?" When you leave the hospital they give you a take home bag filled with a blanket, onesies, and various other items including a CD known as "The Mozart Effect." Scientific studies have shown that exposure to certain pieces of music can increase brain activity in infants, especially in the development of spatial relations. I was troubled by this notion that maybe Lincoln was deaf, and "How would I be able to share all of this music with him?" I tried the the Mozart. No response. I snapped my fingers, whispered into his ears. Non-conclusive. There was always something playing in the background. Popular in our house at this time was Summerteeth, by Wilco and somewhere there is a video I shot of me cradling him in the kitchen while listening to Good As I Been To You by Bob Dylan. I wasn't convinced. Finally, one day in his second month, frustrated and looking for results, I got out the headphones and put them on the boy. I started thumbing through my LPs looking for something of substance to pass on to my progeny. 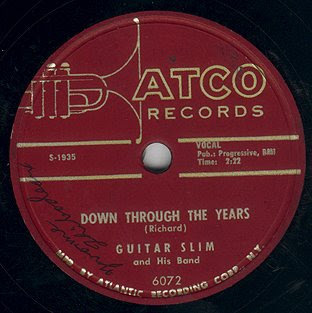 There it was: Guitar Slim, The Atco Sessions. I put it on, quietly, and watched. Slowly I turned up the volume. He cracked a smile or maybe it was just gas. I don't know, but something in my heart told he he was listening. 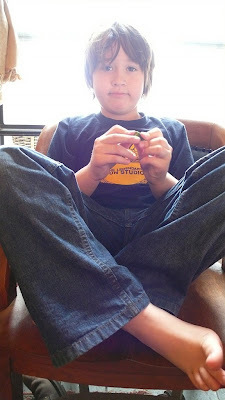 A few days or a week later, I can't remember, he took his hearing test and passed with flying colors. Today, Lincoln is versed in all kinds of music. 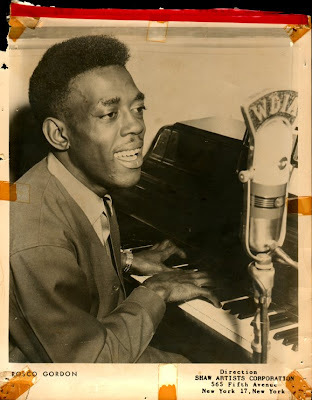 His favorite (of course) is The Beatles, but he caught my attention one day, when we were listening to Chuck Berry and he asked me who the piano player was. 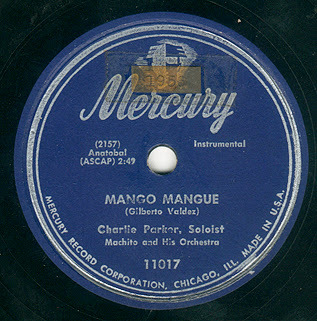 I was taken aback that he even noticed, since that and most of those records are driven by the guitar, and this particular one featured the great Johnny Johnson. He often goes to bed listening to Monk's Dream, his choice not mine. I took him to see a taping of a Jerry Lee Lewis Special for PBS, and he was appropriately blown away. While making photographs for Steve Earle's Washington Square Serenade CD, I took him along to Electric Lady one day, where I made this top photograph of him in Studio A. This record gets a fair amount of airplay in his bedroom as well. So far he's mastered only the harmonica, and plays with perfect timbre and rhythm. Piano lessons are in store for him, after the move. So, as for Guitar Slim? 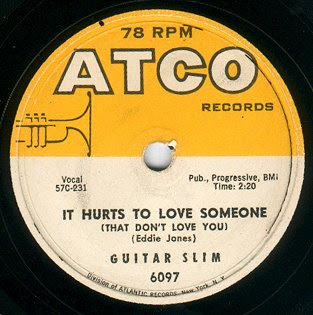 Yesterday while doing double duty on my heartaches, I reached for those sad records that make me feel better about feeling bad: Slim sings with more heart than than just about anyone else. He's not technically a great singer, and his guitar playing is sloppy but says exactly what it needs to. A smile crossed my face, or maybe it was just gas. by Jerry Lee Lewis with B.B. King, 2006.
by Steve Earle (with Allison Moorer), 2007.